This luxury hotel situated a block away from Florida Street offers gourmet dining options and large rooms. 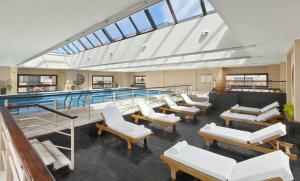 The fitness centre and indoor heated pool features panoramic views of the city and river. Sheraton Libertador Buenos Aires has 5-star facilities. 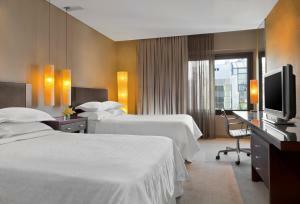 Rooms are styled in tan hues and have air conditioning and flat-screen satellite TVs. Some of them feature panoramic views and marble baths. La Pérgola Restaurante offers a complete buffet breakfast and an a la carte menú or Executive Buffet for lunch. The warm and modern Maximilian Lobby Bar offers a varied choice of meals and drinks 24 hs a day, as well as an a la carte dinner menu with an exclusive selection of wines. Guests can enjoy the exclusive Neptune Spa and fitness centre and treat themselves to a massage session. 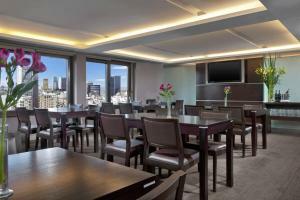 The hotel offers a tour desk, a currency exchange service and car rental. 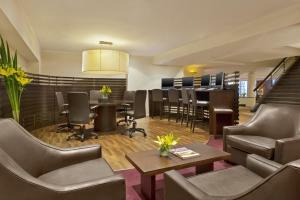 There is 24-hour front desk assistance. 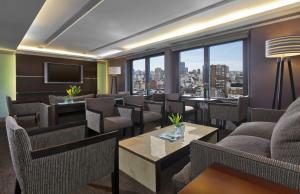 The hotel is 600 metres from Colón Theatre and 6 km from Jorge Newbery Airport. Please note that until July 15th, the swimming pool located on 22nd floor will remain closed due to maintenance. Keep in mind that gym and sauna are still available. All guests must present a valid ID upon check-in. Please note, breakfast can be purchased separately when not included and it is Continental. Please note the based on local tax laws, all Argentinian citizens and resident foreigners must pay an additional fee (VAT) of 21%. Only foreigners who pay with a foreign credit card, debit card or via bank transfer are exempt from this 21% additional fee (VAT) in accommodation and breakfast when presenting a foreign passport or a foreign ID along with a supporting document handed by the national migrations authority, if applicable. 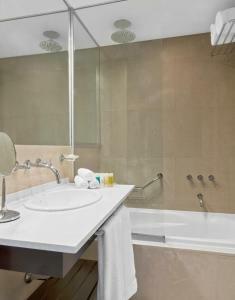 Features air conditioning, heating, plasma TV, minibar, sofa and private bathroom with hairdryer. 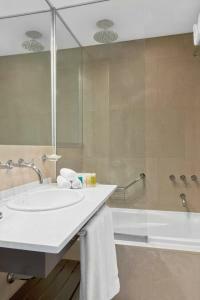 This room features free fitness centre access, Club Lounge access with free breakfast, afternoon hors d'oeuvres and beverages, and free bottled water. 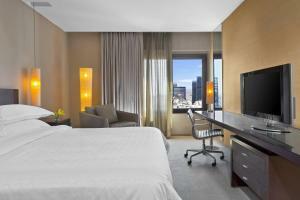 The room features elegant décor, a dressing room, marble baths and a panoramic view of the city. 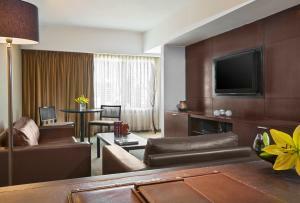 Rate: US$ 195.00 ... US$ 285.00; select dates below to get current rates. 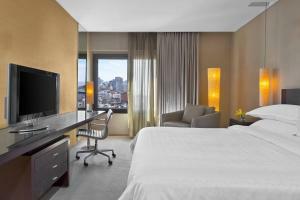 Rate: US$ 149.00 ... US$ 524.00; select dates below to get current rates. Rate: US$ 253.17 ... US$ 269.62; select dates below to get current rates.